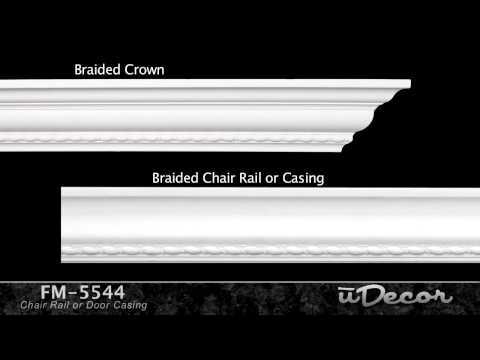 The FM-5544 Flat Molding is a Rope molding typically used for chair rail & casing or door & window trim. The molding is 3-1/2" tall and protrudes out 3/4". So beautiful and very easy to cut and install. Looks great with the matching crown molding.